I worked on a number of sites at TUI Travel. I absolutely loved working in the travel industry. It was so inspiring. 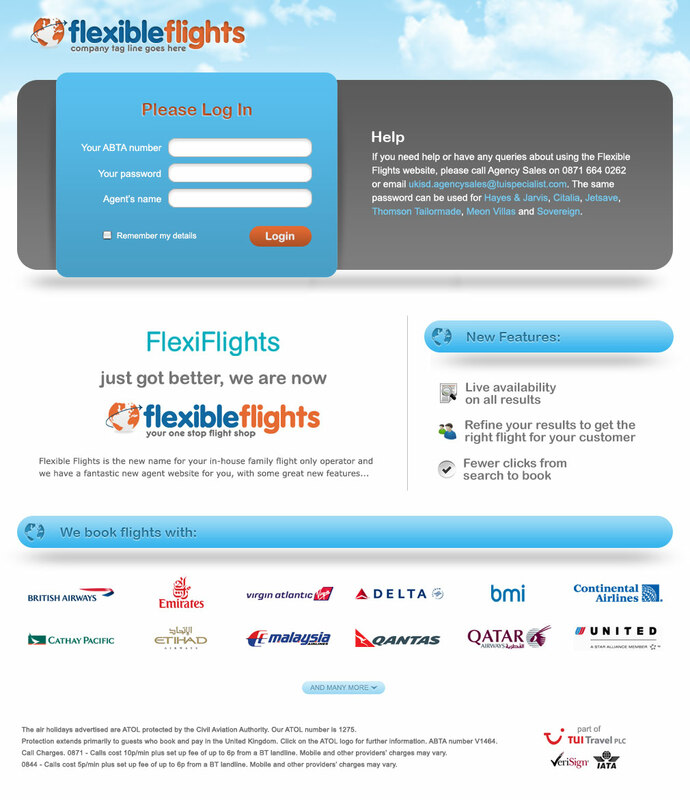 Flexible Flights desperately required a site in order for their booking agents to efficiently book flights for their customers. They wanted a world-class designed website optimised for usability so that the agents could get the most out of it. I designed the logo you see above, placing a plane icon in place of the 'x' to try and capture the same sort of feeling FedEx created with their 'invisible' arrow in their logo. I felt it would be memorable once people noticed it as it was unique and interesting but unfortunately they went with a generic globe icon, "designed" by another designer, which doesn't make it stand out from the crowd. They played it too safe in my opinion. Austravel specialises in holidays and flights in the Australia and New Zealand. I had the opportunity to redesign their entire website from scratch. My goal was to create something inspiring and adventurous, to mimick the style of holidays we were offering. 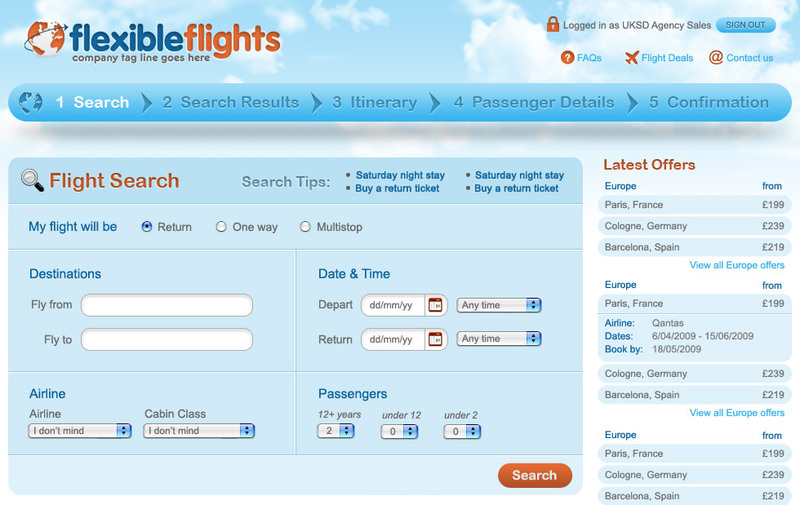 The destination pages were presented in a very visual way to aid usability. 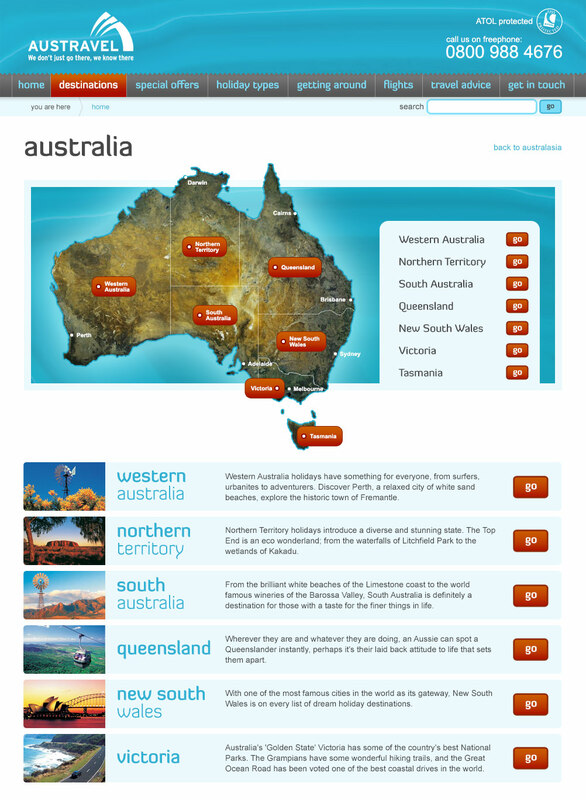 Here you can see the example of Australia and how the different territories are divided on the map. I aslo inluded secondary information below to add extra information about each territory. The following design is a rejected header design, although I felt it really epitomised the sense of adventure and inspiration I was striving to achieve. 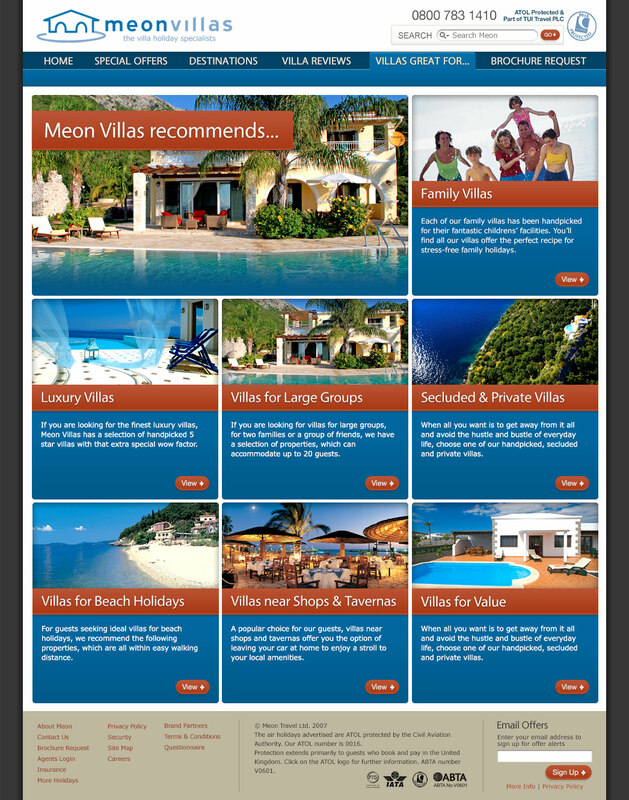 I also redesigned Meon Villas as one of my first tasks when I joined TUI Travel.